The results are in: The third edition of Art Basel Hong Kong featured a new, moved-up date and reported strong sales and attendance. This was the first year the fair took place in March instead of May. The new dates translated to the strongest lineup of galleries to date, with 29 galleries exhibiting at Art Basel in Hong Kong for the first time. 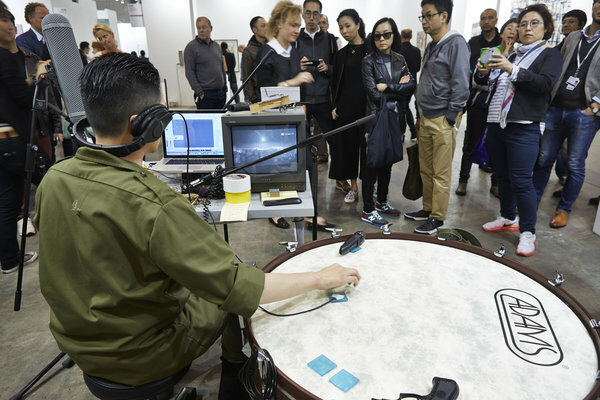 The timing also coincided with the city’s “Art Month.” Throughout March, a wide range of arts and culture events are took place in Hong Kong, such as satellite art fairs and public arts and exhibitions. The fair featured 233 galleries with exhibition spaces in 37 countries and territories. Half of the participating galleries had exhibition spaces in Asia and Asia-Pacific. Nearly 60,000 people attended the show—and unlike past years, many of were local residents. ‘This is our fourth year in Hong Kong and there was undeniable new momentum at the fair this year with sales in the seven figures to clients in the United States, Mainland China, the United Kingdom and Europe in general,” says Glenn Scott Wright, co-director of London’s Victoria Miro Gallery. 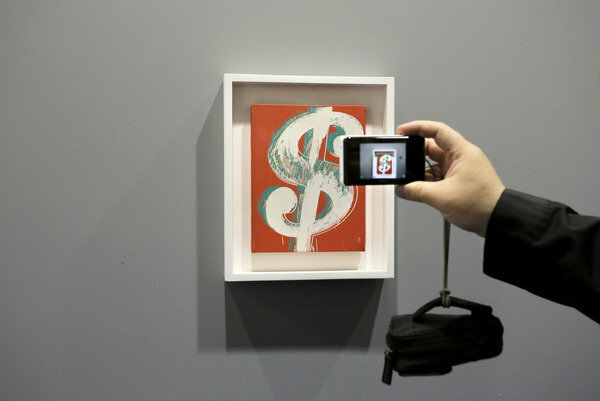 The price: Sold for $2 million within the first hour of the fair. The price: Sold for $1.95 million. The price: Sold for $1 million to a new client from mainland China in the last minutes of opening day. The price: Sold for $1 million to a collector from Shanghai. 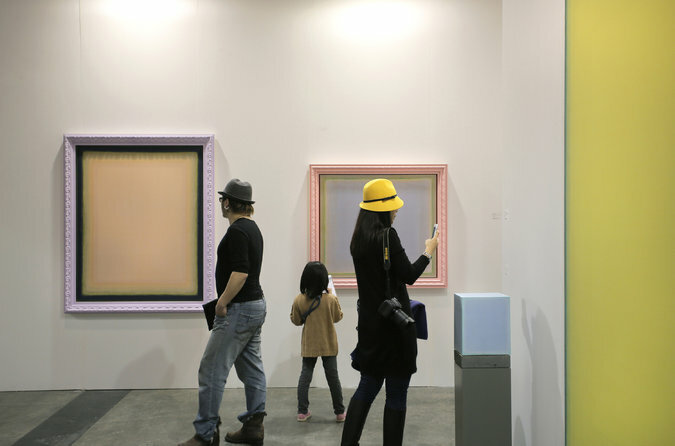 Surreal artwork has captivated crowds at this year’s Art Basel Hong Kong. This remarkably life-like sculpture, “Untitled (Kneeling Woman)”, was created by Australian artist Sam Jinks. Art Basel stages contemporary shows in Basel, Switzerland, Miami Beach, and Hong Kong each year. Here, a man peers into US artist John Baldessari’s “Beethoven’s Trumpet (With Ear) Opus # 133”. 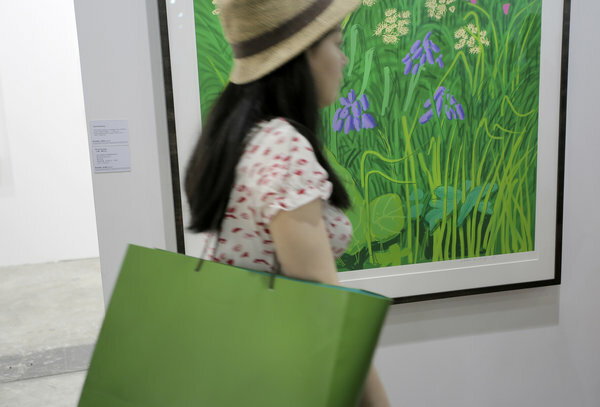 This year’s Hong Kong fair brought together 233 galleries from 37 countries. British artists Jake and Dinos Chapman’s created this, entitled: “Isn’t this great? The salty sea air! The wind blowing in your face! *sigh* Perfect day to be at sea!”. Pilippe Pasqua’s “Skull” is shown here. 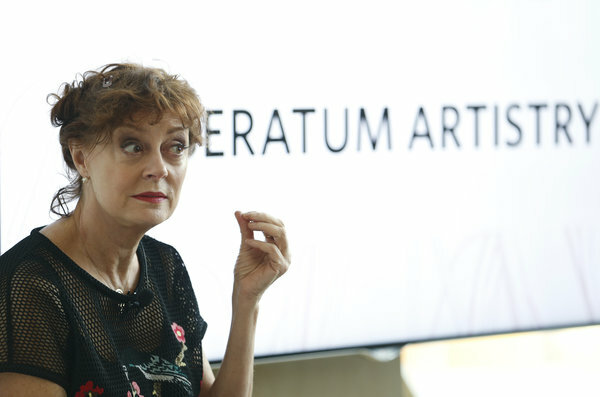 Turkish performance artist, Nezaket Ekici, created the artwork “Emotion in Motion” by kissing a white blank canvas with red lipstick throughout the launch. South Korean artist Myeongbeom Kim made this deer with wood branches as antlers, seeking to create a balance between reality and fantasy.